Gentle Giant has New Star Wars Exclusives Coming to Celebration 2019! Gentle Giant Ltd. Is traveling to Chicago, IL to attend Star Wars Celebration April 11-15, and they’re bringing two popular Clone Wars characters – Hera Syndulla and Darth Maul – as this year’s exclusive offerings! Inspired by the artwork of Skottie Young for Marvel Comics, this 4 1/2-inch tall Captain America Marvel Skottie Young Statue is digitally sculpted and 3D printed. The Star Spangled Avenger is one red, white, and blue chunk of cute! Captain America makes many of his fans feel like kids again, but this time, Gentle Giant Ltd. is having some fun by giving Cap a childlike appearance! This adorable version was digitally sculpted, and then printed on state-of-the-art 3D printers. The prints were then used to create the prototypes needed to produce this fun-filled statue of a triumphant and very happy Captain America. This is the first in an ongoing line of Marvel Comics characters produced by Gentle Giant in this size and style, inspired by the work of Skottie Young. Gentle Giant is proud to present the Star Wars Rogue One Jyn Erso Mini Bust! This amazingly detailed mini bust has been digitally sculpted using top of the line 3D software, prototyped using 3D Systems’ industrial 3D printers. The final product is hand-cast in polystone and painstakingly hand painted so that no detail is missed. This 1:6 scale bust stands about 6 1/2-inches tall. Jyn Erso’s record of transgressions against authority was long enough to get her noticed by Mon Mothma, leader of the Rebel Alliance. After being recruited to the Rebel Alliance, Jyn Erso’s first mission would be to learn as much as she could about the Empire’s impending weapons test. This mission would not only lead her to the plans of the Death Star, but it would also reveal a more personal connection that she could not have expected. You can order the bust now for $119.99 and get it when it’s released June 2017. Classic and classy – who’s got enough class to be a Romanesque bust? Why, Deadpool, of course! Gentle Giant presents its Deadpool Caesar Classic Mini-Bust! This limited edition, hand-painted polyresin bust comes individually numbered and paired with a matching certificate of authenticity. Don’t delay – order today. The bust will be released April 2017! EE Spotlight: Marvel Bookends for the Diehard Fan in You! The Marvel logo is recognized around the world by diehard and casual fans alike, and now it can be a functional part of your home decor! Gentle Giant brings you the next in its bookend series – the Marvel Logo Bookends Statue. Don’t delay. Order today they’re out April 2017! EE Spotlight: New Rockin’ Figures Made for Lovin’ You! Bif Bang Pow! expands its ever-popular line of KISS 3 3/4-inch action figures with a brand-new Dynasty-era series! Prototyped by Gentle Giant, these highly detailed figures feature 11 points of articulation, removable cloth capes, and corresponding instrument accessories. Pre-order today! What does it take to bring a graphic novel from the colored page to the small screen? 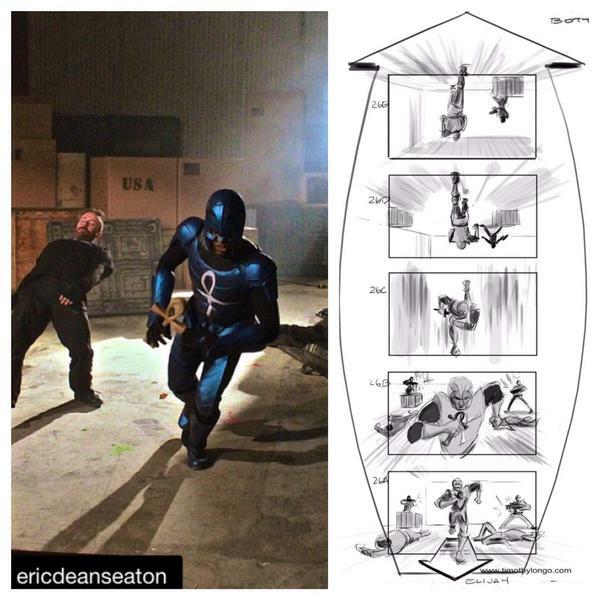 Legend of the Mantamaji creator, TV director Eric Dean Seaton (NBC, TBS, Disney, Nickelodeon etc.) decided to answer that question and create another way to promote the sword and sorcery series by producing a live action short based on the first book in the Legend of the Mantamaji series. 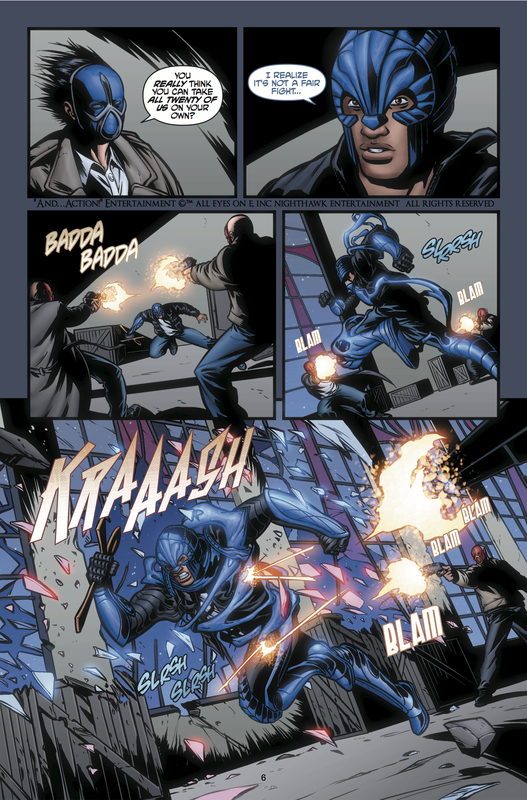 Legend of the Mantamaji tells the story of Elijah Alexander, a cocky, media-hungry, thoughtless Assistant D.A., who learns his childhood bedtime legends are actually the true stories of his heritage. Elijah is the last of a race of noble, mystical knights known as the Mantamaji. He is now a hunted man charged with ridding the world of an ancient evil no other Mantamaji has ever been able to defeat. 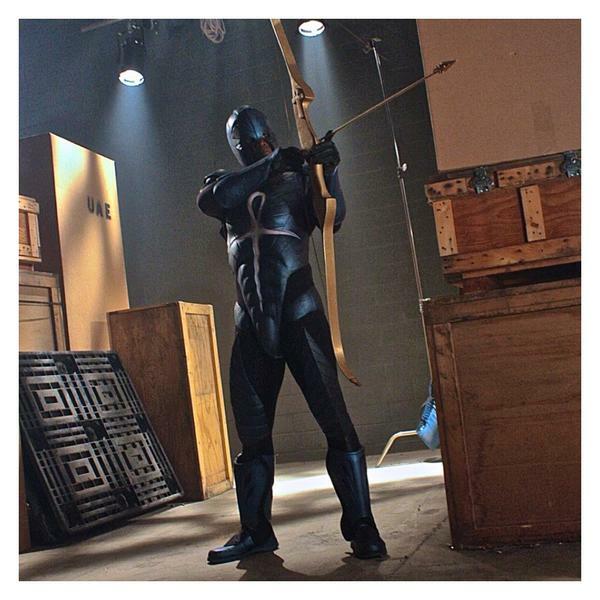 In addition to creating the Live Action, Seaton also shot behind the scenes footage he’s releasing weekly as a weekly web series Legend of the Mantamaji: Behind the Scenes on YouTube. The web series follows Seaton’s production team over three days as he films the short showing the actors (including stuntmen from Captain America: Winter Soldier and Batman v Superman) coordinating stunts, creating special effects and all the behind the scenes stuff people like to watch. Graphic Policy has the exclusive on this week’s episodes that focuses on image scanning with Gentle Giant Studios and the movie magic behind kicking in a door. Learn more about Legend of the Mantamaji and pick up the books on Amazon, comiXology, in Barnes and Nobles and comic book shops across the country or on the Legend of the Mantamaji website. You can follow Eric Dean Seaton on Twitter, and Legend of the Mantamaji on Twitter and Facebook. Bring Darth Vader home and join the dark side. Today Gentle Giant Studios showed off a new Star Wars release arriving in our galaxy early next year. You’re not reading the scale wrong, it really is almost 7 FEET TALL. The item’s official name is the Darth Vader Life Size Vintage Monument. Inspired by the classic Kenner figures of old and measures in at 6’ 9”. The “figure” was created using a digital scan taken of a Kenner Darth Vader figure. Life size Lord Vader features the same articulation, a re-scaled vinyl cape, and extending lightsaber of the original. At a price point of $2600 and a “Limited Edition” run, this guy isn’t for everyone. If you have the means (and the space) for this amazing figure, Darth Vader Life Size Vintage Monument from Gentle Giant Studios will be available Q1 of 2015 and is open for pre-order now at http://www.gentlegiantltd.com/. Marvel is giving fans more reasons to look forward to the comic event of the year San Diego Comic-Con. They’ve released a list of the one-of-a-kind exclusives that will be available at the show for the first time. Marvel, along with partners Hasbro, Diamond Select, Gentle Giant, and Huckleberry have created an impressive line-up of limited edition collectibles featuring some of Marvel’s biggest icons. This is an addition to the already announced items available at The Marvel Shop located at Booth #2329.